The CHASE-CI Workshop is an all-day event, taking place on Monday, May 14th. Many of the computer scientists across the University of California campuses, as well as other CHASE-CI grant research partners, will be gathering to discuss the status of the CHASE-CI roll-out of FIONA8-based Machine Learning (ML) systems, best practices for development with Kubernetes, and the status of their ML and AI research projects, among their peers. 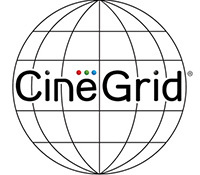 The CineGrid Spotlight: AI event on the morning of Tuesday, May 15th, (9:00AM - 1:00 PM) features presentations and panels from technical leaders in the Media and Entertainment (M&E) community, highlighting the use of AI/ML in optimizing global special effects content creation pipelines; broadcast sports; film restoration and new proposed architectures for content-centric networks. CineGrid Spotlight attendees arriving on the morning of May 14th, will have the opportunity to sit in on the afternoon CHASE-CI workshop sessions. You'll learn more about the various ML-enhanced CHASE-CI scientific research projects underway, and attend the evening wine & cheese reception - featuring demonstrations in the 500 Megapixel 70-GPU walk-in virtual environment called the SunCAVE.